Like many other people of my generation, I really stood up and took notice of Batman when the 1989 Tim Burton film first came out. Since then, my love for this great character has grown and grown and grown, until one day I realized I was in actual fact the Dark Knight himself. Hey! Just like my mate, Matt. Here, check out this conversation we had just the other day, whilst comparing crime-fighting techniques at a local branch of McDonald's. 1) In your own words Matt, how would you describe www.darkknightnews.com? And how does it compare to other Batman related fan-sites? Dark Knight News reports on everything Batman. Not just the movies. Not just the comics. Not just the merchandise. But anything and everything that is Batman. We also focus on community made projects that a lot of bigger Batman sites won't cover. 3) What attracts you to Batman as a character? I've always loved Batman. 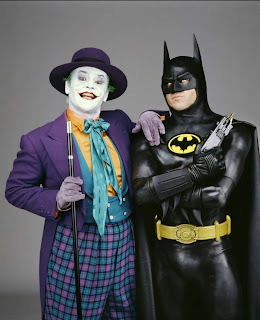 The 2nd movie I ever saw in a theater was 1989 Tim Burton version of Batman, and it changed my life forever. I didn't know films could be so amazing. Batman was dark, serious, and just an extremely interesting character. After that anything with Batman in it I would watch or want -- I was obsessed. Even though the Adam West version was campy I would watch it as a six year old kid and think to myself it's the same Batman from Tim Burtons'. To me it was just more Batman, so I could get my fix. I was hooked. 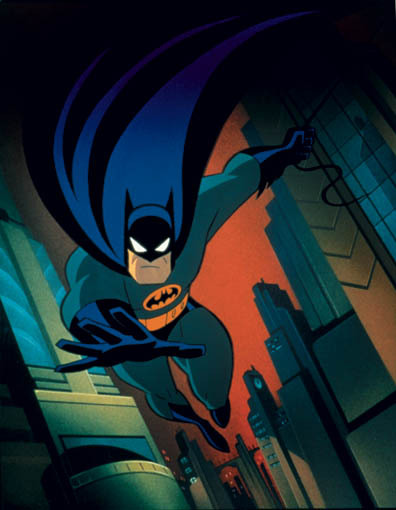 So while 1989 was my gateway drug Batman the Animated series was the drug that made me an addict for life. I'm constantly re-watching the animated series. While not every episode is amazing, their are some episodes that are so well written and so deep, that even years later when I show them to another almost thirty year old adult they still resonate and hold up. 4) What was the first Batman comic you read? I started reading Batman in the 90's during Knightfall. I went back and read alot of the classics, 'The Dark Knight Returns', 'Year One', 'Killing Joke', and I got a subscription to Detective after that. 5) What do you feel about the DCNU Batman? It was a little strange at first. I was worried. But Batman for the most part has stayed the same. Plus I love Scott Synder's writing -- I was a big fan of his detective run. So him taking over Batman for the New52 I knew it was in good hands. Whilst a lot of the other DC character were completely changed or cut, Batman and his cast of characters for the most part are pretty similar. Though, I did just read an article today that Tim Drake in new continuity was never Robin -- which I don't know how I feel about that yet. 7) Have you had any media acknowledgement for your wares? We have been referenced on other comic book sites like CBM. Also recently one of our writers was on the news and both the news and Adam gave us a shout out. 8) What is your opinion of Batman in film, compared to the comic? I think they're both great! There are two types of fans, some just like the movies and some like both. I dig both, anyone who likes Batman is cool in my book. I think the best adaption of the comics has been the animated universe. Burton's set the way for Superhero films and Nolan's has been the most realistic and brought whole new respect to the comic book genre. He's like the Kubrick of Comic Book films -- what every other comic book movie inspires to be is his trilogy. 9) What is your own opinion on mainstream comic books? And what is the difference between what you publish and what they do? Mainstream gets alot of crap because some people look at them as 'just for kids'. But it always depends on the writer, right? Scott Synder and Grant Morrison have recently done some amazing things with Batman in the comics. They are in no way intended for kids and aimed purely at adults, they are just way too complex. We publish stories about what DC and WB films is doing with Batman. We report everything and everything unlike DC who just reports what they want to report we try to get the news to the fans as quick as possible. Wow! Thanks for that Matt. So there you have it dear reader, www.darkknightnews.com in a nutshell. When you have the time, please feel free to do the Facebook, Youtube, and Twitter, thing. Trust me, they're Bat-tastic.